Among the various issues which hospitality operators often cite as hampering them in the day-to-day running of their businesses, the scourge of red tape must rank highly among those most often singled out. The burden of understanding and complying with a huge raft of varied legislative requirements can be a frustrating distraction from the practical aspects of managing a successful restaurant, coffee shop or take-away – yet owners and managers ignore these legal requirements at their peril. Now, however, help is at hand with the development of a convenient app that can help managers and staff stay on top of all the paperwork and procedures associated with hygiene regimes in their premises and the storing, handling and preparation of food. 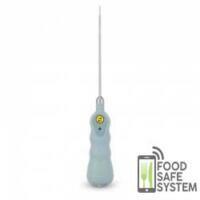 And what’s even better is that the new Food Safe System has been designed for use on smartphones and tablets, so there’s no requirement for additional outlay on expensive bespoke technology. 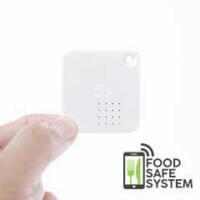 Food Safe System has been developed by Newry-born chef and restaurateur, Neil Bradley, a partner in the Sugar Supper Club bistro chain which currently has outlets in Newry and Banbridge. And that’s the real beauty of Neil’s Food Safe System – developed in conjunction with a Belfast specialist IT company – it has been designed to run on the technology that most people already have in their pockets – conventional smartphones and tablets. The system itself is designed to meet the requirements of local council environmental health departments -and EHOs can access the records easily either on site via smartphone or tablet or at their own office using a secure password provided to them by participating outlets. Most operators will know that with a paper-based system, it’s all too easy to fall behind on your checks. However, Food Safe System will let you know when forms need to be completed and because everything is time-stamped, there’s no room for prevarication. It makes sure you stay on schedule. Neil’s own hospitality credentials are impressive. He spent 25 years as a chef in Northern Ireland, working at high-end eateries such as Roscoff’s, Cayenne and Balloo House, owned his own restaurant – Copper – which opened in Warrenpoint in 2004 and is now involved with the successful and innovative Sugar Supper Club bistro brand, so he’s very familiar with the paperwork requirements with which small operators have to comply. 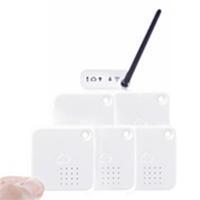 To further extend the scope of the Food Safe System, wireless sensors have been developed to be placed into refrigerators to automatically monitor and upload the temperature data and will trigger alerts if there’s any variation outside established parameters, further reducing time spent on record keeping. 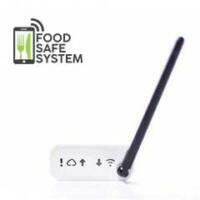 Also in development are a range of food probes and infrared temperature sensors which will allow users to check the status of food deliveries using their phones or tablets. To coincide with the launch of Food Safe System at IFEX 2016, the app will be available for download on the Apple app store from March 8. Customers will then have the opportunity to test the new software for a month before having to commit. The Android version will be available a few weeks later. For a low monthly subscription, customers will have anytime access to all their records, regular updates and a full customer support package.